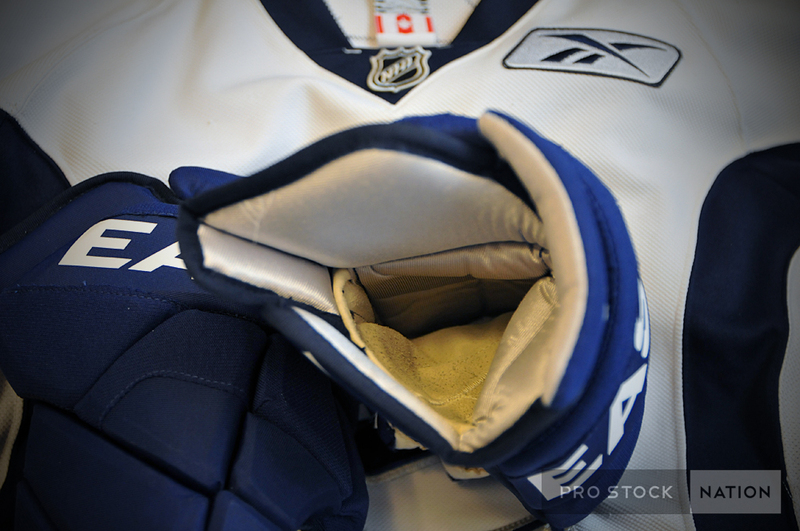 We already gave you guys a quick look at Winnwell’s Pro Stock glove, now it’s time for our review after some on ice use. I am a fan of anatomical fit gloves so switching to these traditional boxier fit gloves from my usual gloves was a bit unwelcome at first. I thought I would be off put by the fit, but I quickly changed my mind. The cuff felt much tighter than I expected and it suited me perfectly. That isn’t to say the cuff is uncomfortable or lacking in mobility, quite the opposite really. 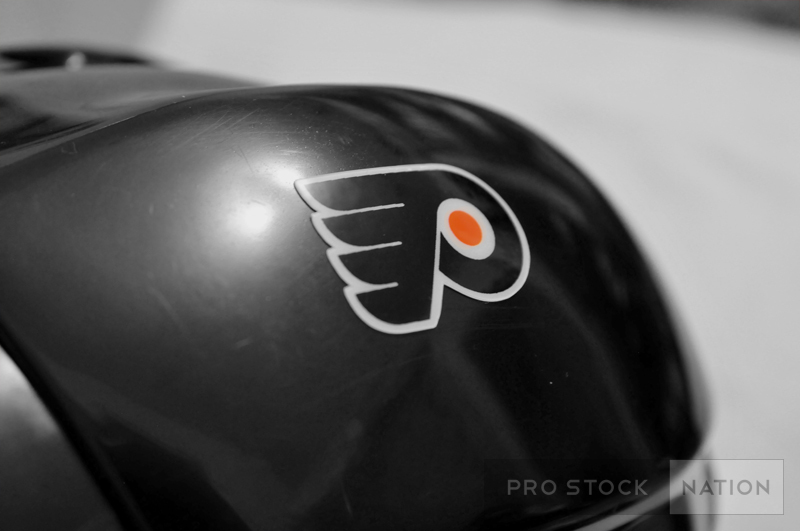 It allows for great range of motion, especially downward when stickhandling. The palm area features a nice piece of nash overlay to add some extra durability. Even with this added piece, the palm still feels very soft and pliable. It doesn’t feel totally like micro-nash but it’s very close. 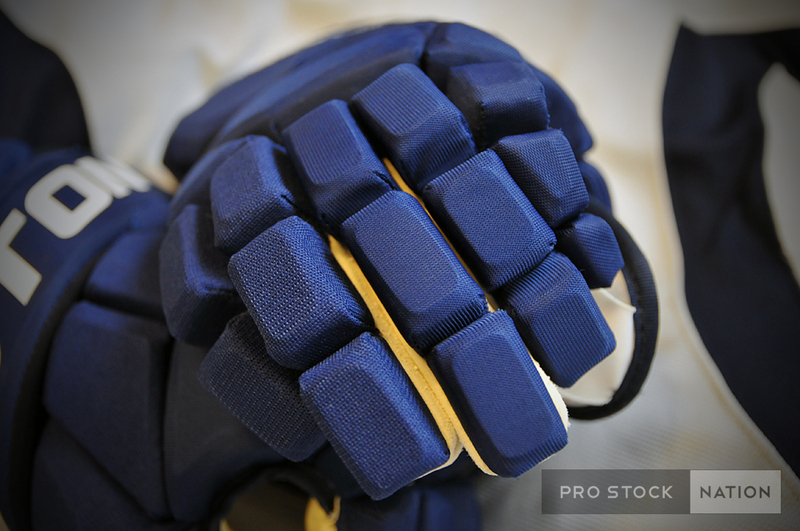 In place of mesh gussets the gloves feature a series of hole shaped vents in the fingers. 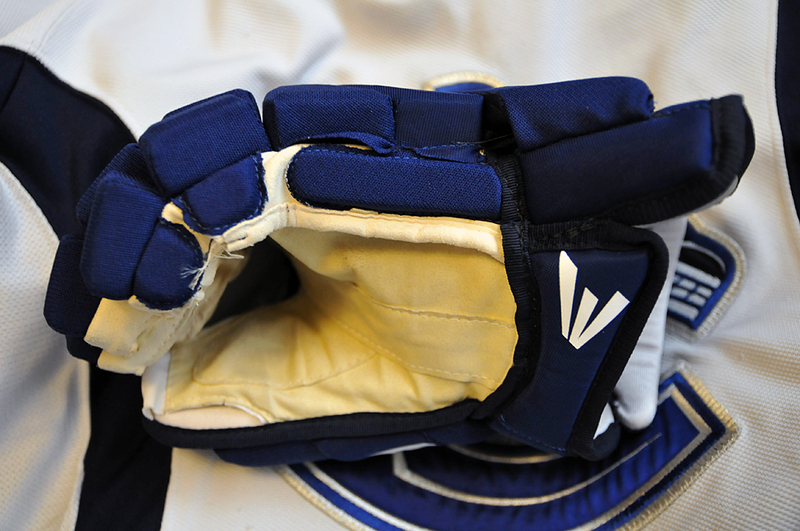 This is a feature not commonly seen on gloves with full nash palms and gussets. Additionally the top of the thumb features an interesting bit of what I will describe as mesh. This is another feature not seen on most nash palmed gloves. These aren’t features that I noticed at first, but the affect they had was certainly noticeable when it came to keeping my hands dry. 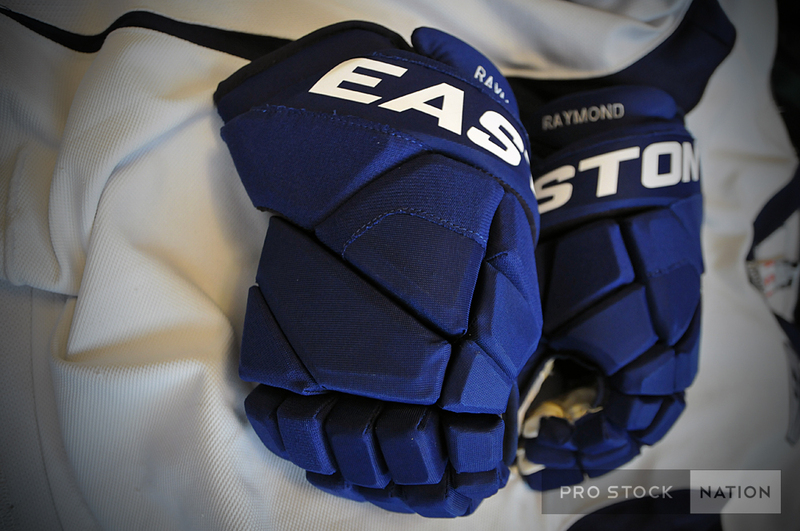 What really has made me a fan of these gloves is the NXT lining. 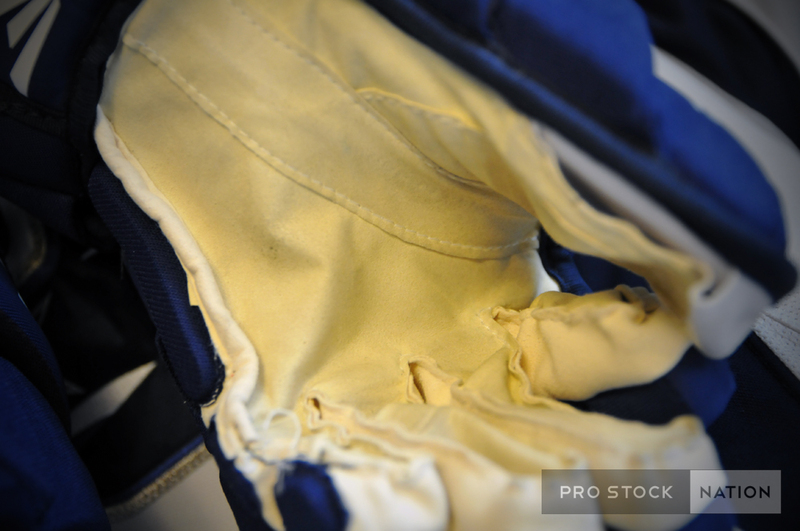 This lining is the signature piece for Winnwell’s gloves. The lining runs down the entire length of the fingers. This is a great feature both for comfort and as well as dryness. I am writing this review after about 4 hours of ice time. Never during that time did my hands feel sweaty. 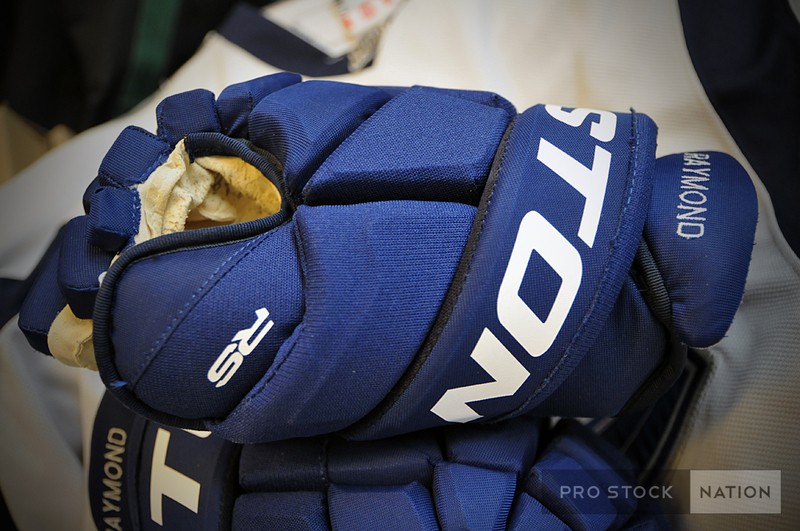 After getting off the ice the NXT does a great deal in helping to speed up the drying process. The gloves went from out of my bag to my drying shelf, and were bone dry an hour later. It’s such an added benefit to having dry hands during a game, to having dry, odour free gloves after your game. The only downside I found with these gloves was how easily my tape left a mark on the nash. This certainly isn’t a knock against Winnwell, or the the gloves themselves. That’s just the problem with nash palms in general. 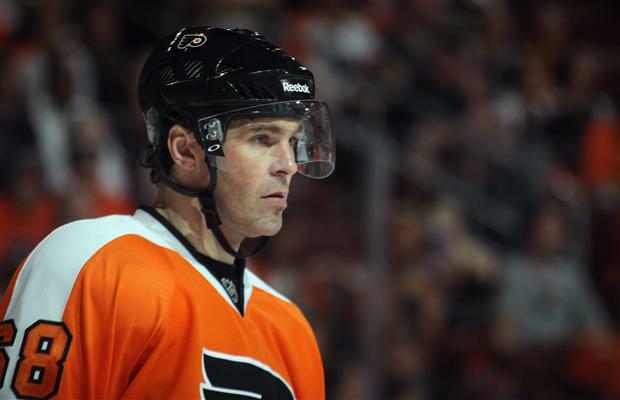 It’s something everybody has dealt with at some point in their hockey career. 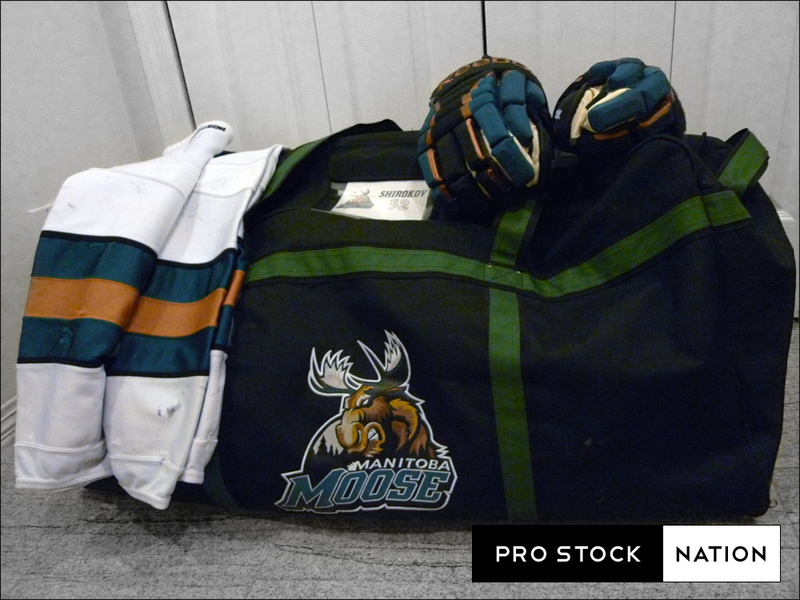 If you’re looking for a solid glove, that inexplicably seems to have been overlooked by much of the hockey world, I would definitely recommend Winnwell’s Pro Stock product. 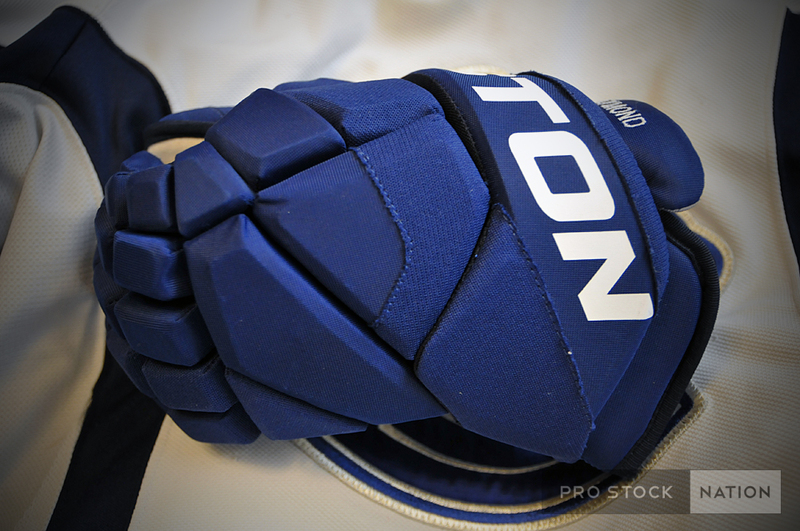 Stay tuned to ProStockNation.com to see how you could win a pair of Winnwell Pro Stock Rick Nash gloves! 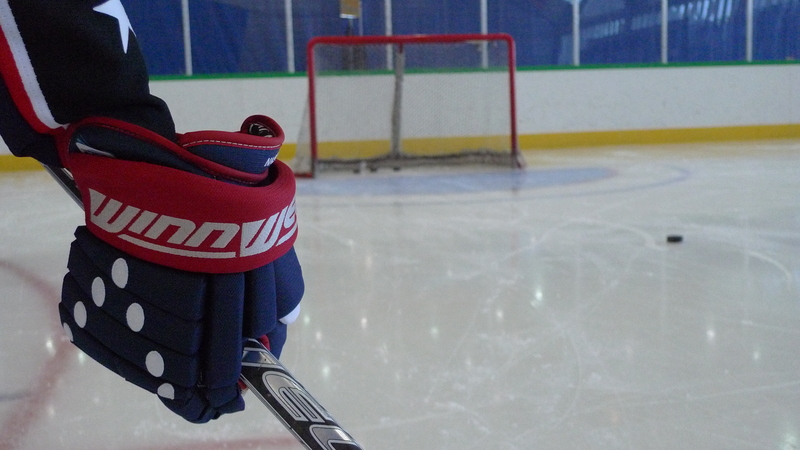 Stay tuned for our upcoming on ice performance review of Winnwell’s pro stock glove. Followed by a contest to win this pair! 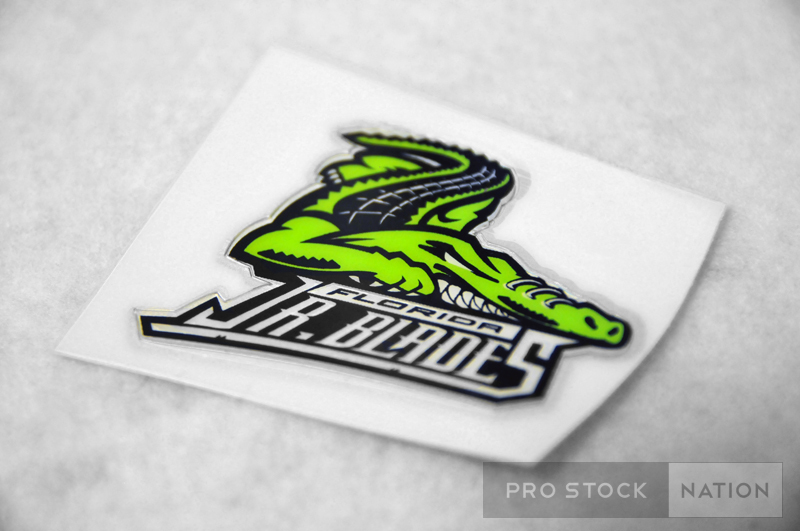 It’s hard to imagine a decade ago top end skates were made with nylon toe caps and synthetic leather materials. 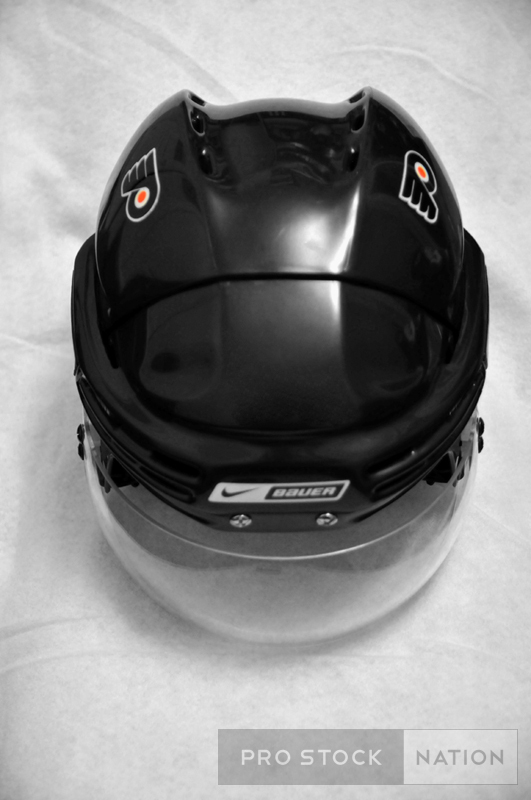 I remember trying to squeeze my foot into a Bauer Supreme 7000 but the fit of the skate just wasn’t for me. Fast forward 10 years later I have decided to give the Supreme line another chance. Plastic anatomical toe caps and a composite quarter have replaced the outdated nylon and synthetic leather. In the previous pairs of skates I’ve owned I found the baking process helped reduce the break-in time of the boot but rarely did it change the fit significantly. My right foot felt fine right off the bat but my left didn’t. After baking the Total ONE I noticed a huge difference and the material conformed around my foot. I have a bone that protrudes slightly out on the left foot just above the arch and it was painful just putting the skates on fresh out of the box. After a quick punch of the trouble area the skates fit perfect. It wraps around my foot snugly and it is the best fitting boot I have ever worn. My skates are built close to retail specifications except I do not have the hydrophobic liner and I have LS3 steel installed instead of the lighter LS Fusion. Don’t let that concern you because this skate is still very lightweight. I threw one of these 7.5D boots onto our scale and it weighed in at 727g. I have the hydrophobic liner in my ONE95 Goalie Skates and I don’t like the feel of it. Composite materials can be found all over this skate. Also notice the white felt on the inside of the tongue! More on the tongue shortly. Even the bottom of the footbeds have Bauer’s ALIVE Composite material which is very moldable and responsive. Where the Total ONE really differentiates itself from the previous generation, the Supreme ONE95, is the Reflex Tongue. These skates meant to be worn tongues in to take full advantage of the interchangeable inserts which come in 3 different flexes, Mid, Stiff, and X-Stiff. I am currently skating in the Mid flex and it’s the one I prefer of the three. The Total Edge Comfort is basically a piece of synthetic leather sewn right above the ankles to prevent the boot from digging into your leg especially during the break-in process. Many pros have had this option for years but now these will be standard on Bauer’s top end boots. In the past year that I’ve worn this skate, it has been very responsive and durable. The thing about using a stiff boot compared to a softer, lower-end boot is the extra support you get. You’ll never be able to revert back to using a softer boot because it will feel like mush; much like those old plastic Microns you could rent at your local rink to go ice skating. The only issues I’ve had with the skates so far include the stitching fraying and ripping in high-wear areas (such as near the toe cap, as pictured) and what looks to be the outsole separately from the boot. I’m told this is only cosmetic and not anything structural. I will check back at a later date to see how they hold up. I have also swapped out the stock Bauer laces for a pair of Elite Pro with the molded tip. These are by-far my favorite laces but I will talk about those another day. If these skates fit your foot type and your pocketbook can afford it, I highly recommend considering the Total ONE your next pair of skates. Hey guys, we had a chance to get a ProStockNation.com exclusive preview of the gear available for the annual equipment sale. Here is our short walk through video. Pictures will be up shortly, so stay tuned! You are currently browsing the archives for the Pro Stock category.